The 16th annual African Renaissance Conference will be held on the 22nd and 23rd May 2014 at the International Convention Centre in Durban. The festival will celebrate, debate and examine broader issues relating to re-defining and rebuilding the African continent through accessing and developing its own rich social, economic and political resources. 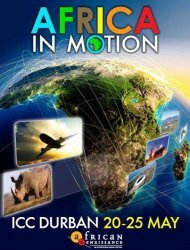 The African Renaissance Conference 'Africa In Motion' will bring together experts and senior representatives to focus primarily on connectivity of the African Continent, the relevance of South Africa's programmes to the continental agenda and how we should be advancing as the years go by. Previous speakers have included Presidents, Past Presidents, Senior Ministers, Heads of Corporate and Parastatals.